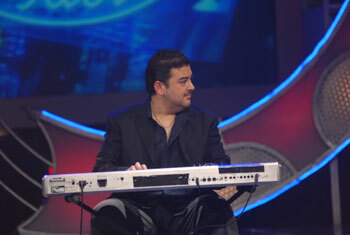 STAR LANKA _ TV Radio Sri Lanka , around the world _Entertainment Arts with FUN: Adnan Sami 'Lifts' Indian Idol to new Heights! 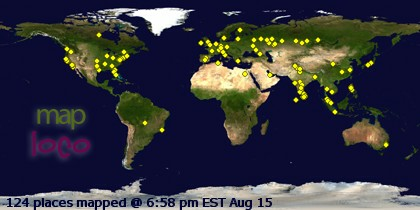 Indian Idol has reached its penultimate stage. The top three are in place. The last lap has to be run and the winner is till anybody's guess. 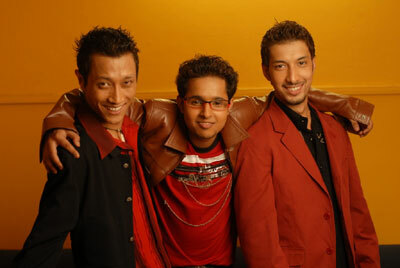 The three young men have all had a makeover and look like little rock stars. Their confidence level is at an all time high. They are singing at their best. Javed Akhtar revealed how these contestants have achieved international status because wherever he went he was only questioned about them! It is a tough task ahead for viewers to make their final choice. To make their task easier came Adnan Sami. Adnan looked like a million bucks after his weight loss. Everybody was as delighted as the contestants to have him on stage with the contestants singing Aa raha hoon main from Dhamaal the film that boasts of having Adnan as the music composer. 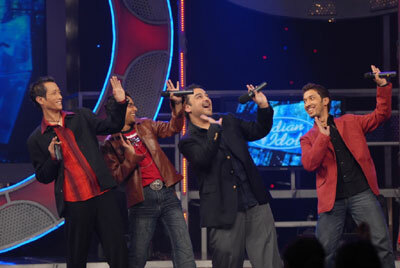 Each contestant sang two songs each… all Kishore Kumar numbers of Adnan's choice. He made acute observations and accurate judgments about their performance. Emon swept everybody off their feet with his opening number…Yeh jo mohhabat hai from Kati Patang. After last week's controversy and arguments about his singing, Javed Akhtar was very happy with his singing and performance. All is well and all is forgiven he said. Annu Malek felt vindicated. Prashant followed it up with a delightful rendition of Ek ladki beegi bhaagi si.. Annu Malek's whole hearted praise reduced the young man to tears. It was the first time anybody had showered him with so much praise. When Amit sang, time seemed to stand still. The judges were unanimous in their verdict…the film industry has found a new singing sensation they said. In the next round the contestants dedicated songs to their loved ones. Emon dedicated Banke tera jogi to his parents who were in the audience and were overwhelmed by the gesture. Prashant dedicated to his friends in the police force Bheege honth tere… Amit the emotional one amongst them dedicated to his grand mother … Betaab dil… for which he bagged full marks from Javed Akhtar. After hearing everybody Adnan had a word of advice to all. Remember Lift karade in moments of self doubt "That's what I do", he said. At the mention of the song Annu Malek, Alisha and Udit Narayan joined him on stage and shook a leg.. that truly lifted everybody's spirits. There was more in store after all this. The highlight of the evening was a jugalband between Adnan and Fazal Qureishi the talented younger brother of Ustad Zakir Husain. The evening ended on a high note with a rocking performance from Adnan and his dancers. One could not have asked for more. 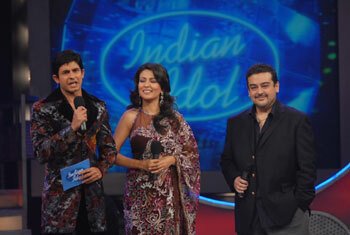 Catch all the action on Indian Idol on Friday , September 7 at 9 pm only on Sony Entertainment Television.